How many unwanted robocalls have you received this week? Yes, ‘Robocalls’ are increasing, especially on your cell phone. The New York Times reported that there were a stunning 3.4 billion robocalls in April 2018, 900 million more than April 2017. A Florida man was fined $120M for placing 100 million robocalls. His callers reportedly said that they were representatives of legitimate travel businesses (they were not) and offered vacation packages. If you responded, your call was re-directed to marginal companies offering discount travel packages. There is more than one kind of annoying call coming into your phone. Robocallers are automated, prerecorded messages typically from telemarketers or political parties. Mobile phone spammers and SMS spammers send unsolicited ads to cellphones via text messages. Phishing phone calls are scams which attempt to take advantage of consumers’ trust to steal personal information, financial information and money. They lie. They impersonate legitimate companies and sometimes pose as your favorite nephew (who they claim is stranded in Istanbul without a wallet or passport) and needs your immediate help. Fraud calls come from an entity pretending to be someone they are not (The I.R.S. for example). They are malicious. They all want your contact information and they ‘win’ when they compile lists of live telephone numbers that they can sell to fraudsters and telemarketers. They may be fraudsters themselves. They do not play by the rules and they do not tell the truth. If these calls weren’t making money for the scammers, they wouldn’t be doing it. It costs very little for robocallers to bother you. The Robots have new tactics. Robocalls to our cell phones are even more intrusive than calls to landlines. Our cell phones are with us all day – usually in a pocket or a bag. When it rings or vibrates, it interrupts us wherever we are. At least at our desks we can ignore the phone and let the machine take it or check caller ID before answering. Neighbor calls. You have probably already had ‘neighbor calls’ which are robocalls that look like they come from your Area Code and maybe even your neighborhood. In fact – they could be coming from anywhere in the world. Callers sound like a human. Some robocallers sound like a real human with breathing and background noise. Artificial intelligence can be programmed to make these ‘robot callers’ able to carry on a limited conversation. Spoofing. Don’t be fooled by ‘spoofing’. This new scam makes it look like the incoming call is coming from your telephone number. Do NOT pick up. Why can’t the Federal Communication Commission (F.C.C.) stop these calls? People want some public service calls to come through – like the announcement that your school is suspended for a snow day. It is hard to screen some, but not others. The telemarketing industry is powerful and invests concentrated money and lobbying to protect laws which enable it to ‘auto dial’ your cell phone with marketing pitches. Consumers feel equally strongly that the calls be blocked, but we are not organized. How can you stop the robocalls to your landline and cellphone? Don’t answer calls from unknown numbers, let the answering machine take the call. You can always call back. Do not say your name, or press a number to opt out. Any of these actions verifies that this is a working number and you will get onto the company’s call list. One sinister company recorded the consumer when she said, “Yes” to the question “Can you hear me?” The recorded voice signature was then used to authorize fraudulent charges using her phone number. Do not give out your telephone numbers to businesses. Most will ask and say it is for delivery contacts, but will back off if you refuse. If you get robocalls from a business in your life – your bank, credit card or travel company – call customer service and ask to be removed from their call list. Don’t fall for the authoritative or threatening calls from (fake) institutions like the I.R.S., a Windows computer tech or a debt collector. Use these tools in ‘Settings’ on your cell phone. When you receive an unwanted call, use the call blocking feature on your cellphone called Block This Caller. When a robocall comes into your cell phone, wait until the answering machine takes it. Then go to ‘Recents (calls) and click on the offending call. Scroll to the bottom of the entry and click on Block This Caller. If you are extremely averse to cell phone intrusion, you can use the DO NOT DISTURB mode on your phone to allow calls only from numbers on your contact list. Unknown calls will go directly to voicemail – no ringing. While satisfying, this has its downsides. Not everyone you want to hear from may be on your contact list. iPhone instructions. Android instructions. 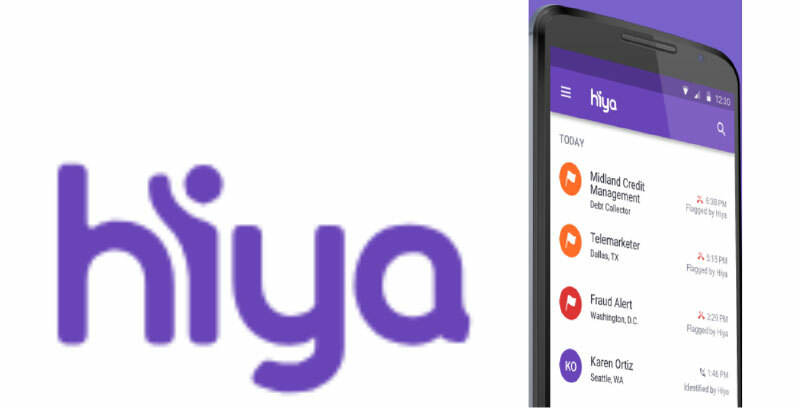 Hiya analyzes 5.3 billion incoming calls, identifies the robocallers, blocks them and sends you a report on your phone. Free. Truecaller is partnered with Samsung and T-Mobile for Android. It identifies incoming calls (this is called a number look-up service) and SMS messages. It labels threats so that you let the call go without picking up. You can blacklist incoming numbers. Available for Android and iPhone. Free. Mr. Number Identifies suspicious incoming calls and blocks them. It sends you a report identifying suspected scams. You can add numbers to their blockout list. Available for iPhone and Android. Robokiller blocks over 100,000 robocallers and prevents them from ringing. It then notifies you about the call with an option for listening to the recorded voicemail. Download from the Apple App Store for $2.99 monthly or $24.99 for a year. Try a seven-day free trial. Should I Answer uses its database of telemarketers, National DO Not Call list and numbers reported by its users to block robocalls into your cell phone. Available for Apple iPhone and Android. Call Control relies on a community of 12 Million users to identify robocallers and telemarketers – and block them for you both on your cell and home phones. Call Control is available for iPhone and Android. 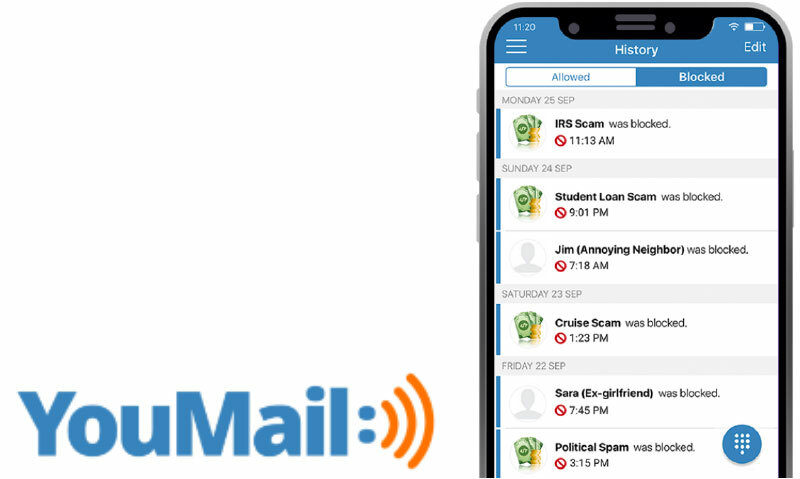 YouMail takes positive action to keep your telephone numbers off the telemarketing lists. If it identifies an incoming call as ‘bad’, their technology ‘answers’ the call with a message saying, “This number is not in service” and makes a screechy sound. National Do NOT Call Registry is managed by the Federal Trade Commission (Consumer Protection). No legitimate company is allowed to call numbers which have been registered. In addition, you can list specific telephone numbers you want blocked. It is free and it will stop law-abiding robocallers. Foreign callers are not likely to get caught, so it is not much of a deterrent to them. If calls keep coming from a company on your Do Not Call Registry, file a complaint with the FTC on the website or at 1-888-382-1222. We are told that there is scam telling people that their registration is expiring. The registration never expires. The Jolly Roger Telephone Company helps you get back at robocalling companies. Using their app, you put the robocaller through to a Jolly Roger Robot (you choose the robot personality like ‘Whiskey Jack’) and your robot will waste their robot’s time. It is a little complicated and it will cost you 4 cents a minute on our cell phone, but in the case of robocallers – revenge is sweet! Beware – another new cell phone scam. A (fake) Verizon agent calls you because of suspicious activity on your account. In order to research it further, he needs to verify your identity by telling him the PIN that he just sent to your phone. In reality, he has gone to the Verizon “password reset” page and clicked the button to send a verification code to our mobile phone. If you give him the code, he can take over your account! Digital Phone Call Protect3 automatically blocks calls from known scammers, sends you an alert on caller ID if a call is suspected spam, and lets you unblock numbers you specify. Call Protect is available at no charge to digital phone customers. Sign in to myAT&T via desktop or the myAT&T app1 to opt in. Note: Have a specific number you’d like to block? Use the Call Blocking feature. Press *61 following your most recent unwanted call to block that number. Sign in to myAT&T via desktop or the myAT&T app1 to manage your list of blocked numbers. Automatic Fraud Blocking2– If the call is “Allowed”, it will ring through as usual. If the call is determined to be potential fraud, the caller will hear a busy signal and the call will not be delivered. This feature can be toggled on or off. Suspected Spam Call Warning– If the call is determined to be spam, it with be allowed but delivered with “Suspected Spam” as the caller ID name along with a category such as Debt Collector, Political, Nonprofit, Telemarketer, Survey, or Robocaller. Call Log– View your detailed Call Log, report suspicious calls, and toggle Automatic Fraud Blocking on or off. Go to Overview> My digital phone. Select My voicemail & phone features> Phone Features. Under Call Filtering, select Call Protect. Select Turn on Call Protect. You’ll receive confirmation that Call Protect has been activated. Sprint offers Sprint Premium Caller I.D. Services to block suspicious calls of $2.99/month. T-Mobile offers Spam Block which stops known threats, but not telemarketers. Thanks …this is very helpful.